For adults who are aware of financial matters, these may come off as easy to understand. The failure of mortgage companies, the rising prices of healthcare costs, education budget cuts, and home foreclosures are just some of the financial occurrences happing more and more often these days. For adults who are aware of financial matters, these may come off as easy to understand. 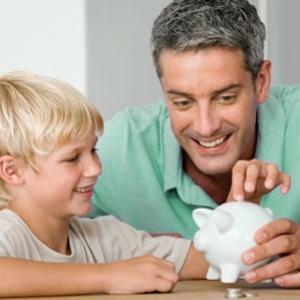 For kids who don’t know a thing about money, however, how can parents explain finances? If you want to teach your kids about money, there are some things that you definitely shouldn’t say to them. Here are eight of the worst things you can say to your children about finances. You may not want to burden your children with worries about money and how to earn and spend it, but even if they are young, they should know what the value of money is and what it is like to spend it. The younger they are, the more easily they will be able to incorporate the good spending habits they learn from you into their lives. If your child owes you money and you say this to them, you are basically telling them that there are no repercussions for not making timely payments. Instead, teach your children to prioritize paying off their “debts” and not to buy what they won’t be able to afford until they are sure they can pay you back. A good way to teach your kids about the importance of paying off debts on time is to get your credit scores and reports and look at them with your kids. Tell them that paying off the debts on your credit reports will raise your credit score, which then makes you more eligible for better credit cards and loans. This may be true, but by saying this to your kids, you are depriving them of learning the value of smart spending habits. If you can show them that the item is really a waste of money or even allow them to purchase it and see for themselves, you’ll be teaching them an important lesson that can help them eventually form their own financial integrity. This statement may not be literally true, but there is a truth to it. Money, at times, does grow on trees—such as fruit-bearing trees that can create a livelihood for you and your family. You need to teach your children that they need to earn their own money and help them if they want to earn more. Be encouraging as a parent. It isn’t helpful to always be sarcastic. Teach your kids that it is possible to “attract” money—and therefore be a money magnet—by working for it. If you encourage your kids to think positively about making money, then they may be more willing to work harder for it. This is often the answer to the question, “Can I have this?” and is said by parents who have a difficult time saying no to their children. Rather than being ambiguous, consider the pros and cons of buying them item with your child and let them decide whether or not the purchase is really worth it. If they decide to buy, you can have them pay some or all of the cost themselves. When you talk about people who are rich in a disdainful way, you are sending messages to your children that money is indeed the root of all evil. This may cause your children to have a negative view of money and can affect their future earning and spending habits in a harmful way.